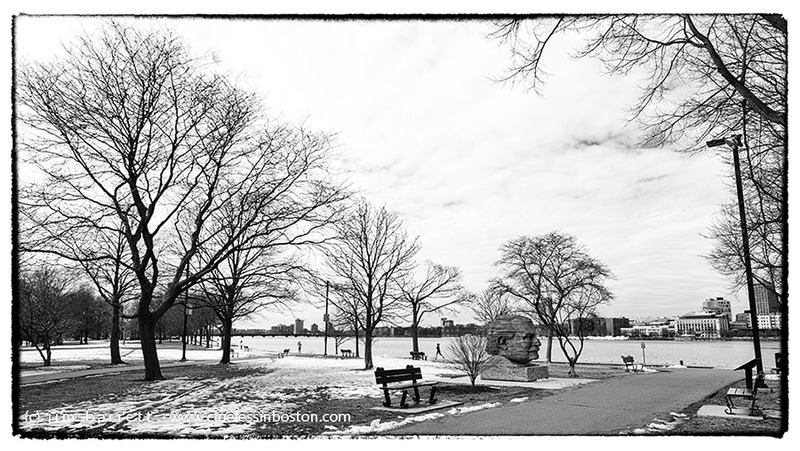 Another view of the Charles River. Quite a view. The bust looks huge.